When I was a young child in Australia, it was a dream of mine to be a writer. I didn’t consider how it would happen or when or what was even involved, but I was simply drawn to writing. I entered writing competitions at my local area shows and I even once won a prize for having a poem published in a newspaper. Fast forward to now and here I am with a published book many decades later. 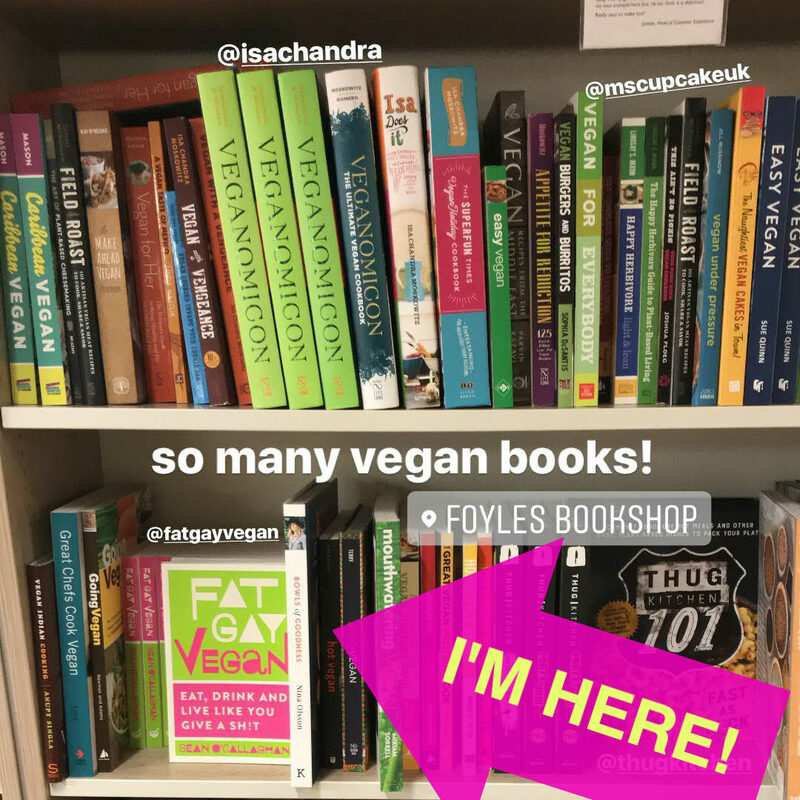 Thank you to Tsouni of Yes It’s All Vegan for letting me use this photo she took of the vegan section of Foyles on Charing Cross Road in Central London today. It means more to me than I can explain to see my book on the shelves of a ‘proper’ bookstore amongst titles by people I love and adore… and some I don’t! LOL. If you would like to grab a copy of my book from Foyles and help me continue to live out my childhood dream as it comes to life, you can order online or even order online to collect in your nearest store. Foyles has my book in Stratford Westfield, Charing Cross Road, Bristol, Waterloo London, Birmingham, Chelmsford, and Royal Festival Hall London stores. Click here to order for delivery or collection from Foyles. The website tells you how many copies of my book remain in each store. Maybe we can even give one of the stores a sellout situation?! Waow, that’s amazing news!!!!! I love it when your dreams come through, you made it happen!!! I am so proud of you, it’s so exciting!!! !